Democratic Rep. Alexandria Ocasio-Cortez said Thursday she was not snubbed for a spot on the House Climate Crisis Committee and that she voluntarily turned down an offer to serve on it. The New York representative rolled out her non-binding climate change resolution – the Green New Deal – outside the Capitol Thursday shortly after House Speaker Nancy Pelosi named the lawmakers serving on the House’s new climate change investigatory committee. Ocasio-Cortez was not on the roster. “Speak Pelosi and I have spoken at length about climate. We share this priority. She did, in fact, invite me to be on this committee, so I don’t think that this is a snub,” Ocasio-Cortez said when asked why she was not named to the committee. Recent news reports suggest that Ocasio-Cortez’s resolution does not have the support of Pelosi, which could determine its success in the lower chamber of Congress. 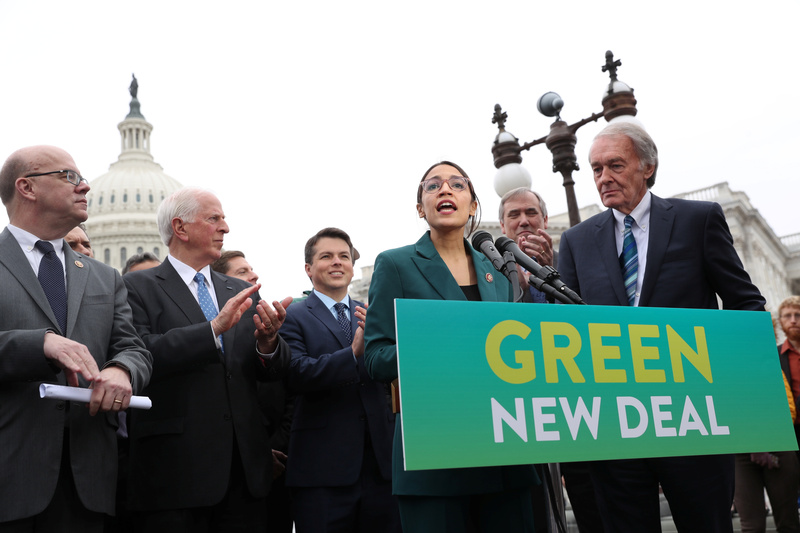 Ocasio-Cortez and Massachusetts Democratic Sen. Ed Markey, who introduced the Senate version of the Green New Deal, disputed those reports during the press conference. “There is no greater champion on climate change than Nancy Pelosi,” Markey said. Pelosi seemingly downplayed the Green New Deal in an interview with Politico Wednesday. Pelosi has referred to climate change as her “flagship” issue.